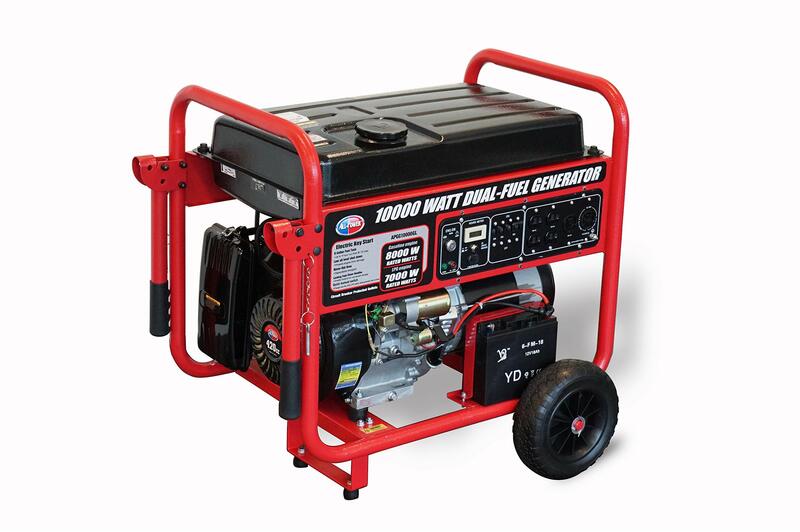 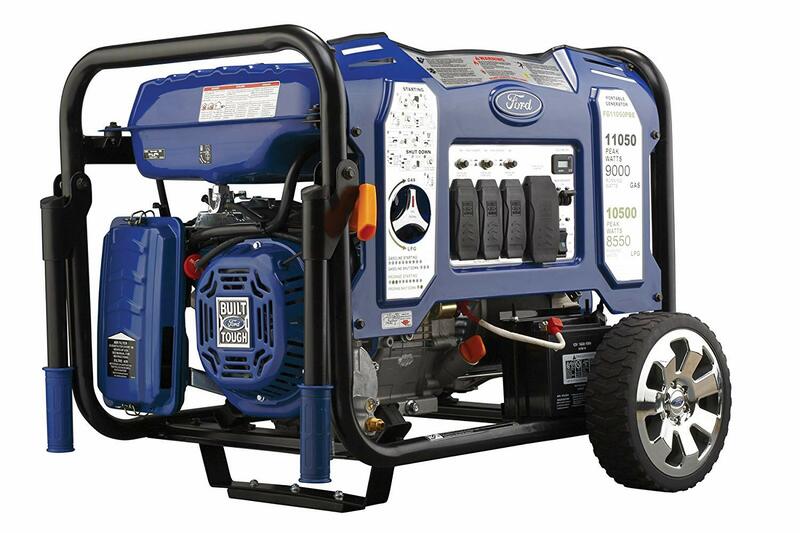 All power’s APGG10000GL offer the most cost effective generators among its competitors, in addition to some extra features. 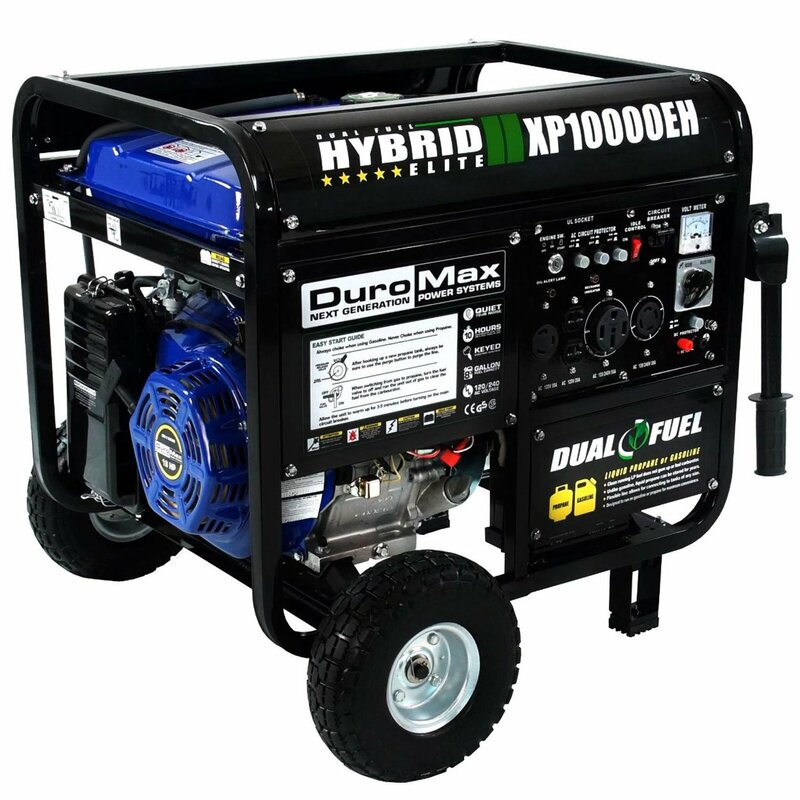 It has a continuous 8000W power supply with gas & 7500W power with propane, & runs 11 hours at 1/2 load. 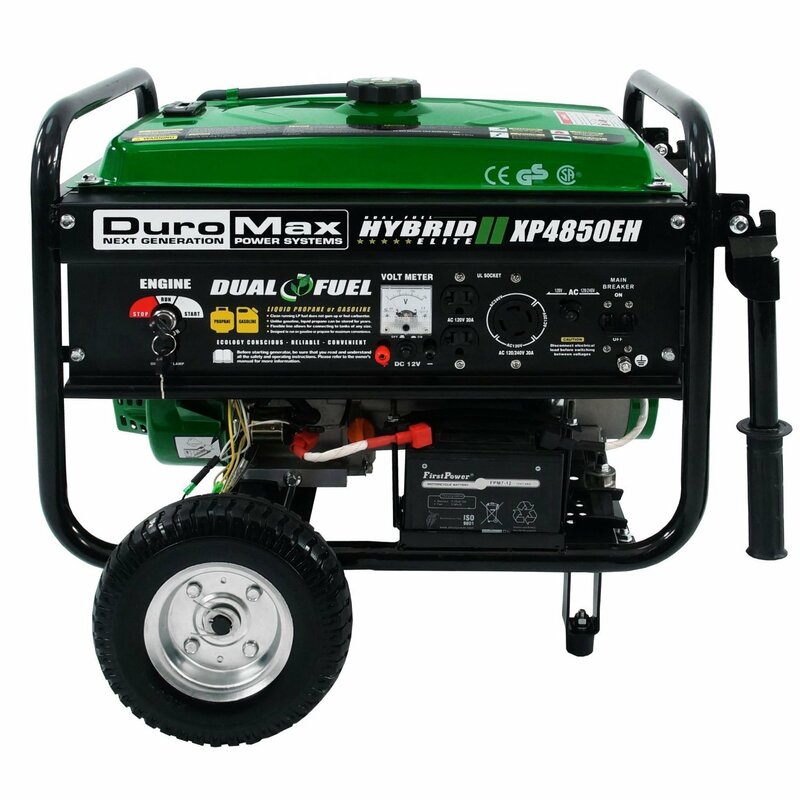 The unit has an engine volume of 76dB. 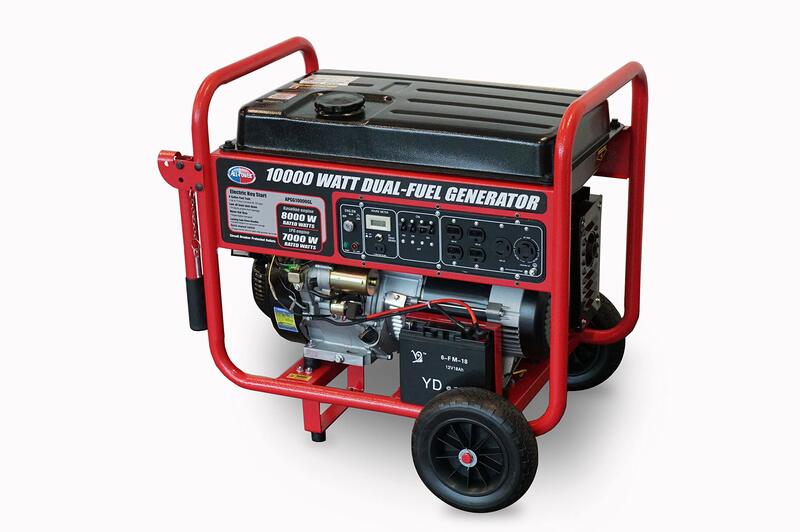 & it includes hour meter & wheel kit for your convenience. 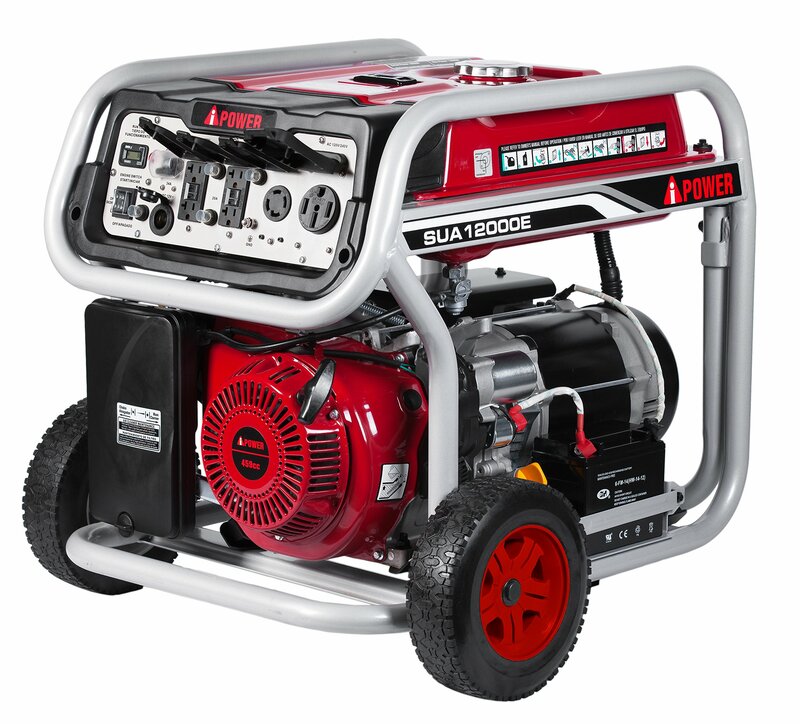 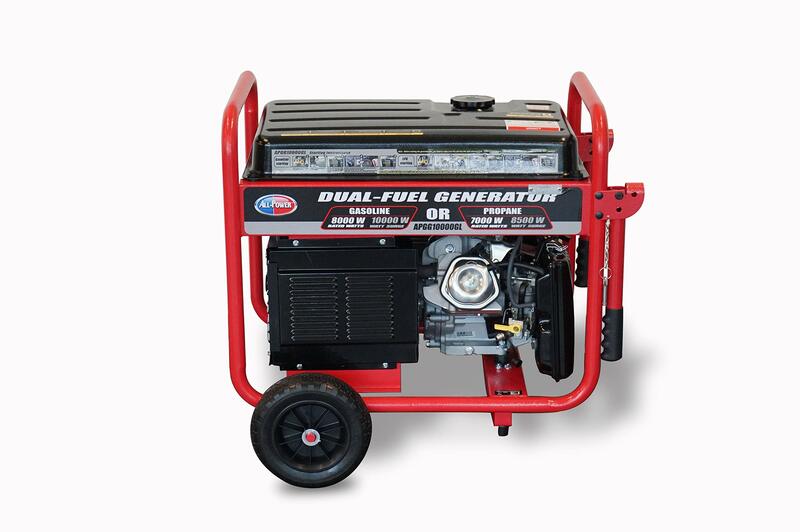 The push electric start feature would be a great help, & a battery comes with the generator. 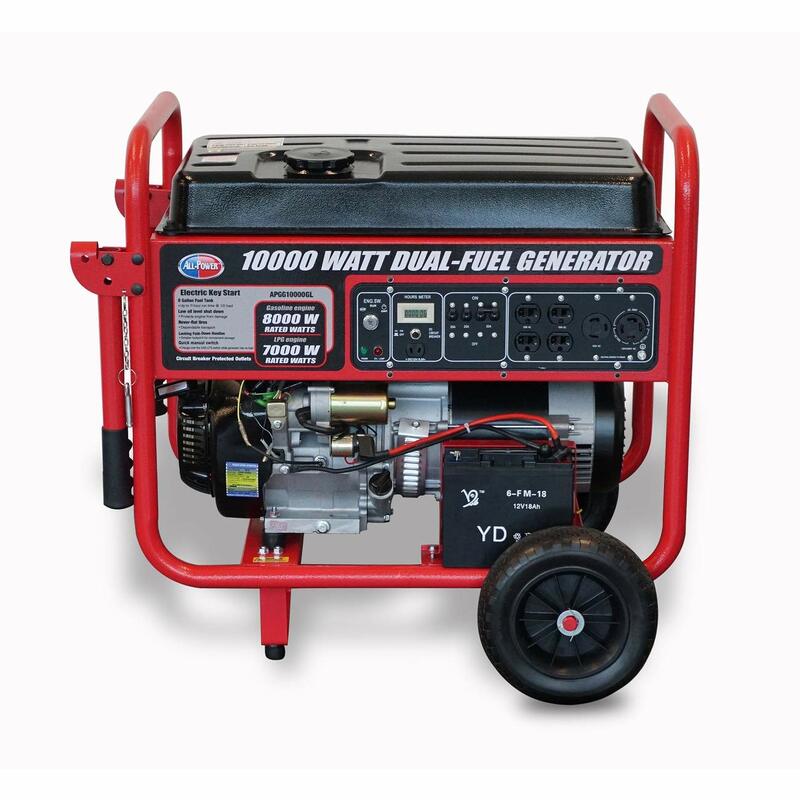 2 AC duplex 120V outlets, 1-120V twist lock outlet, 1-120/240V twist lock outlet, 1-12v DC EPA approved.